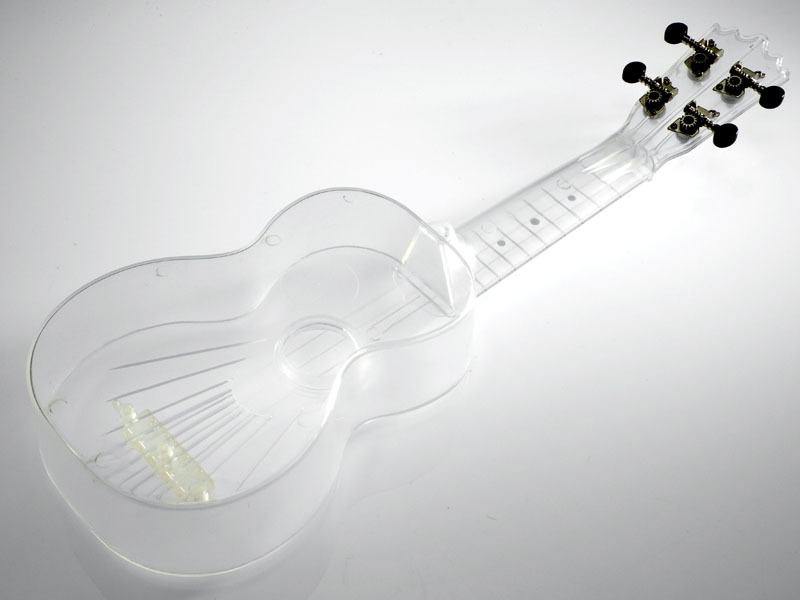 i couldn’t resist when i saw this koki’o transparent plastic soprano – maybe i will found an underwater ukulele group one day. the only non-plastic parts are the tuners, all the rest should be 100% waterproof. apparently plastic ukuleles are on the raise again, targetting the lower end of the price scale whilst promising a steady level of quality. after buying a flea with plastic body and fretboard, this seems the next logical step. sound samples on the web are still rare, but not disappointing (nor discouraging). for the time being i can only post pictures from the vendor’s website; these will be replaced by my own photos as soon as possible. the koki’o plastic ukuleles are also available in black, transparent blue, transparent red and “wood” – all are soprano scale. click here to get directly to ukulele.de. i love the idea of putting stuff inside like e.g. 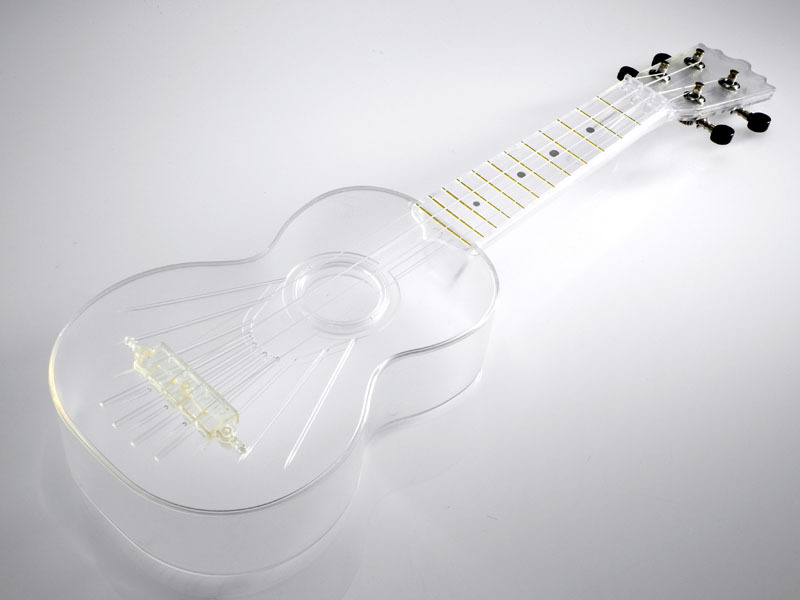 some led lights or similar – this could become a whole new ukulele experience….